Pensive & LoKi, two young, prolific artists from central Vermont, have been building a collaborative catalog under their Milkhaus Records imprint for years. Much of their work has a homemade-tape vibe, but their craftsmanship has been improving and their latest, Avanti, is a big step forward. As ever, the work is earnest and full of literary allusions. Pensive & LoKi are honest about who they are, even in the quotidian details of being young in Vermont, such as being bored in school or smoking perfectly legal recreational substances by a pond and getting eaten alive by mosquitoes. They tap into a tradition of folk-art hermitage that has run deep throughout Vermont's colorful history. Their usual production aesthetic is hella melodic, heavier on MIDI instruments than samples. Sometimes that can be hypnotic, and sometimes the lack of air in the mix can be suffocating. Even when the drums start banging, as on "Parasites," the tracks sound oddly muted for most of the album's opening stretch. There are exceptional exceptions. First and foremost is "888," one of the best tracks on Avanti, in which the duo effortlessly swap eight-bar reflections. The beat is lush and thumping, courtesy of producer ET, and it sounds like a summer single. ET, who also raps as Old Crow, is a frequent collaborator with the Milkhaus crew. He shows up on "Golden Record," a standout concept track that works on all levels. Playing off the golden vinyl discs that were sent into space in 1977 with the Voyager craft, the musicians spin densely layered verses about the human condition. Remarkably, their reach does not exceed their grasp here. Both Pensive and LoKi have improved as rappers, too. Though their delivery is still wooden at times, on the best songs they sound like completely different MCs. On every track, their rhyme patterns are just as intricate but more controlled and consistent this time around. Yet they mostly manage to balance things out. Sheer ambition carries a lot of this album, and it's obvious on every song that the two enjoy each other's company and push each other further. That dynamic really works for a rap project. Pensive & LoKi are eager to experiment and serious about using hip-hop as a force for good. It's a safe bet they'll continue to make a lot of noise in the years to come. 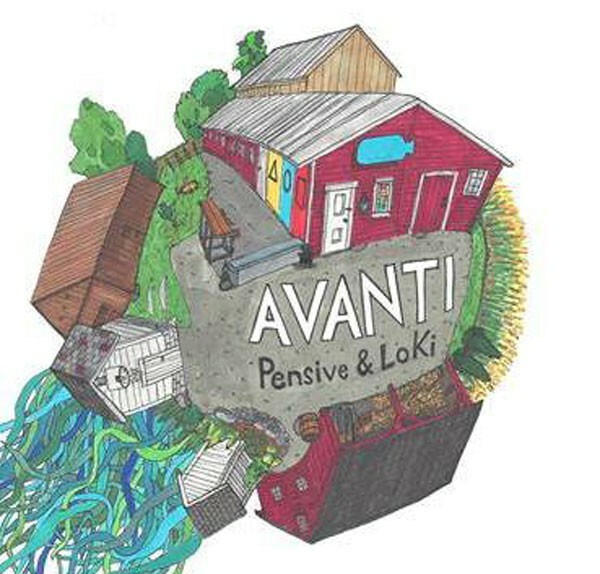 Avanti isn't quite the kind of breakthrough that will force people to pay attention, but it makes a strong case for the Milkhaus sound. Theirs is one of the most honest and distinctive rap crews in Vermont.